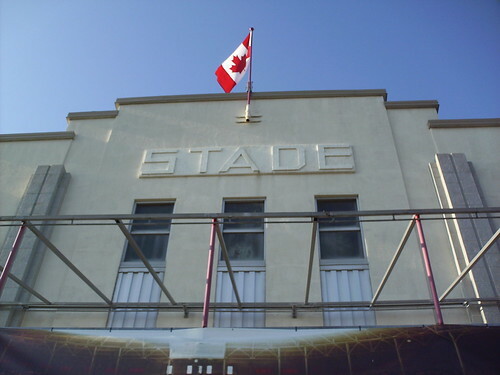 The view from outside Stade Stereo +. 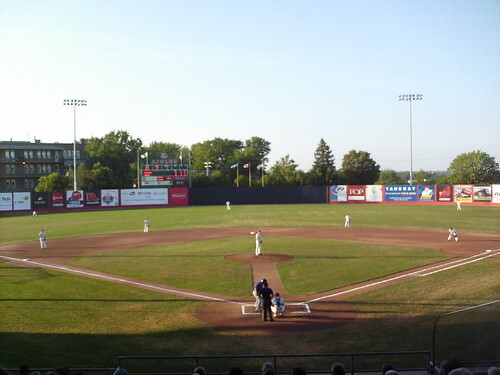 The stadium is nearly architecturally identical to its sister ballpark in Quebec City. The view from behind home plate at Stade Stereo +. The view from down the first base line. 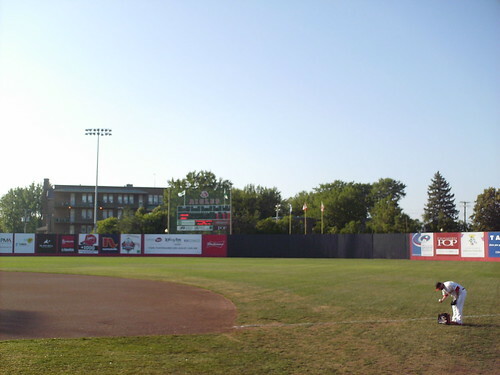 An apartment building overlooks the field from behind the left field fence. 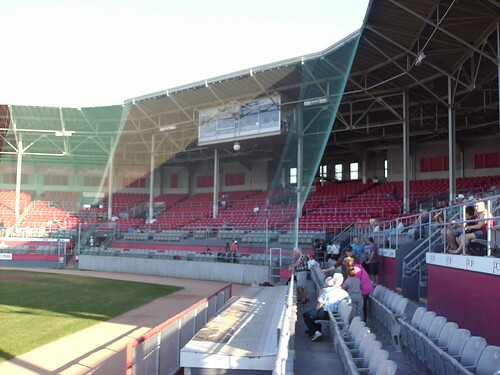 The grandstand at Stade Stereo +. 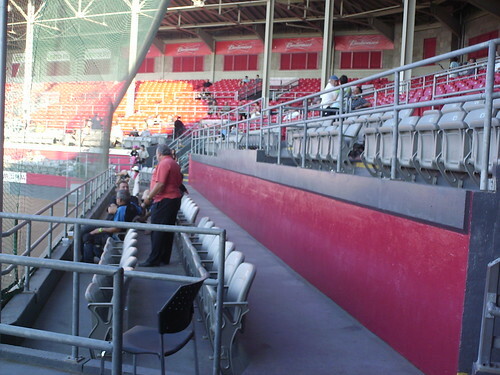 Unlike its sister in Quebec City, the seating bowl here is completely fold-out seating. 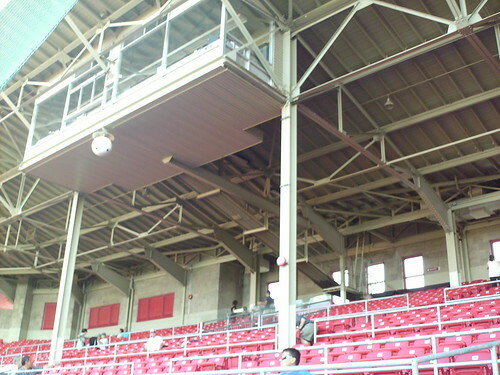 The press box hangs above the seating area from the roof of the grandstand. 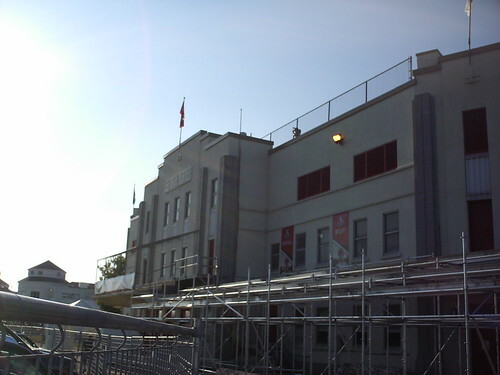 The first two rows of seating are separated from the rest of the grandstand by a wide concourse. 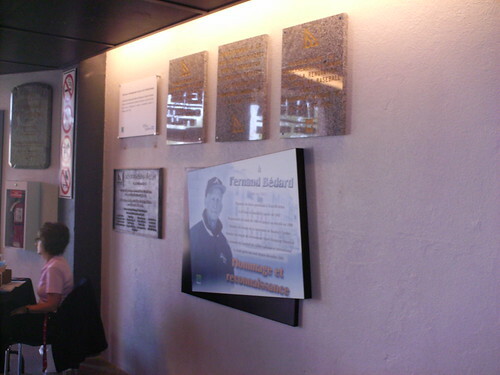 Plaques on the concourse under the grandstand celebrate the dedication of Stade Municipal in 1938 and Fernand Bedard, who the stadium was named for in 2001. 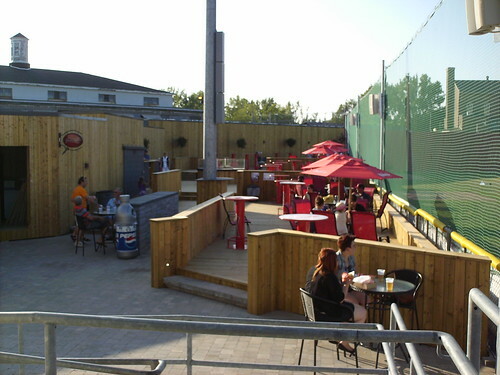 A party deck in the left field corner is a recent addition to the park and allows fans to watch the game from picnic tables. 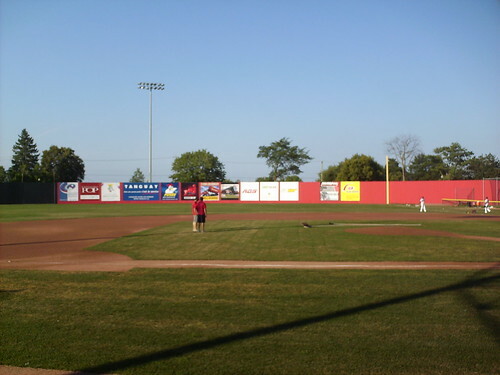 The playing field features a large amount of foul territory behind home plate. 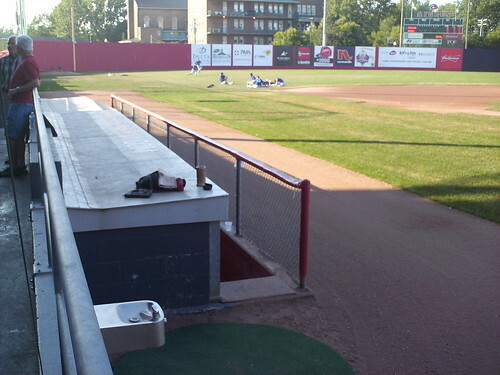 The dugouts at Stade Stereo + have peaked roofs, and the on-deck circles come complete with on-field water fountains. 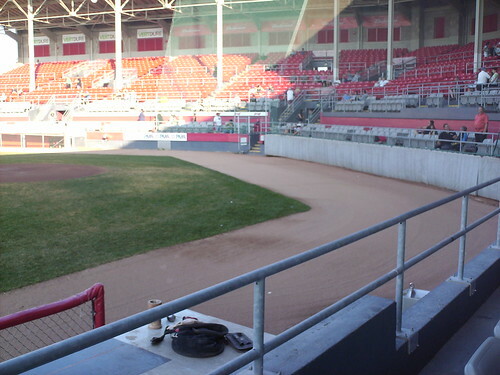 The bullpen and batting cages in the right field corner. 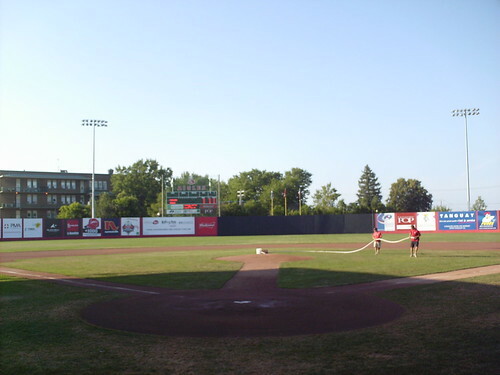 The scoreboard and outfield at Stade Stereo +. 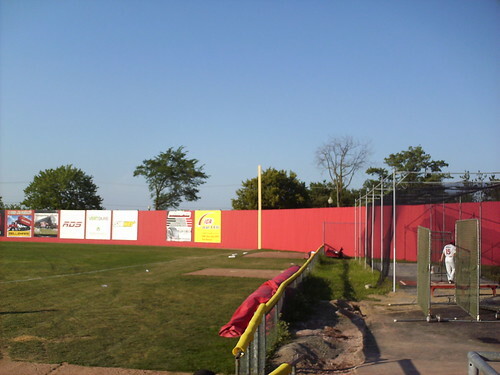 The outfield wall is made of wooden slats, and makes a few sharp corners in left center field. 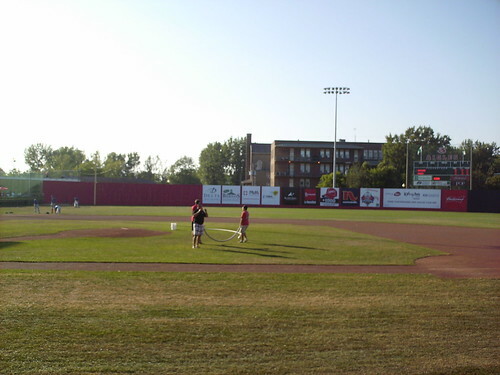 Les Aigles de Trois Rivieres on the field during a game at Le Stade Stereo +.